This post was originally published on April 15, 2009. It was substantially revised and re-posted on February 23, 2015. It’s a humble surname name with a preppy feel. 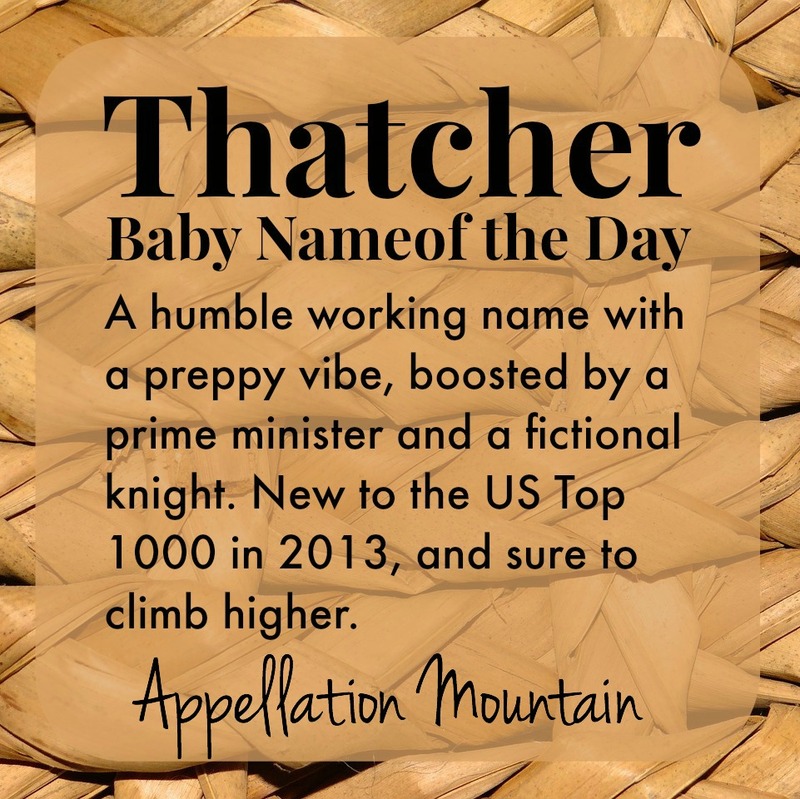 Thanks to Nick & Erin for requesting Thatcher as our Baby Name of the Day. There’s a very famous woman with this last name: Margaret Thatcher, the UK’s first female prime minister, and the Iron Lady of the 1980s. Depending on your politics, this could make it a hero name – or one to avoid at all costs. Of course, the former PM isn’t the only Thatcher – not by a long stretch! Another familiar figure is the valiant William Thatcher, played by Heath Ledger in 2001’s A Knight’s Tale. With the help of a ragtag-yet-loyal group of friends, including Geoffrey Chaucer, the peasant becomes a champion jouster and gets the girl. The humbly born Will earned his surname because his father earned a living patching rooves with straw – thatch. Like Mason, it’s the kind of occupation no one really does anymore, but survives as a common last name. Thatch comes from the Old High German decchen, to cover. It evolved into thakan, then traveled to Middle English as thachen. Thatched roofs can be found throughout the world, and while you might think they’re flimsy, they can be maintained for hundreds of years – and have attracted attention once more as a sustainable material. You’ll find the name on the map in many places, including California and Vermont. Children’s book Jeremy Thatcher, Dragon Hatcher by Bruce Coville. Jeremy splurges on an oversized marble, and the marble turns out to be a dragon’s egg. Becky Thatcher, Tom’s love interesting in Mark Twain’s Tom Sawyer series. Veteran character actor Torin Thatcher, known for playing big screen bad guys in the 1930s, 40s and 50s. Admiral Henry Thatcher led the US Navy during the Civil War. Two USS Thatchers have been named in his honor. It’s the given name of Grey’s Anatomy character Thatcher Grey, father to Meredith. From the 1960s through the 1980s, Thatcher was a sometimes-used rarity, possibly a family name promoted to the first spot. Heath Ledger’s turn in A Knight’s Tale sparked more interest in the name. In 2000, 24 boys were given the name. By 2001, that number was 41. In 2007, celebrity chef Cat Cora welcomed a son named Thatcher Julius, and there were 14o newborn boys called Thatcher. Then came 2013, with 199 newborn boys with the name – enough to push Thatcher to a debut in the US Top 1000, at #986. 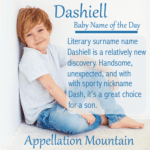 With choices like Carter, Hunter, and Parker solidly established in the US Top 100, and names like Archer and Sawyer rising fast, it’s easy to imagine this handsome name joining them. What do you think of Thatcher? Do you think it is likely to be more popular in the coming years? 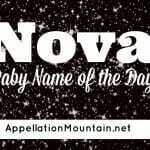 Love the name so much I used it for my son. He mainly goes by Thatcher but often Thatch or Thatchy. So sweet. Love the fact that it feels “normal” but isn’t common. So glad to hear it wears well! Thanks for reminding me how much I love this name! It tends to fly a little under the radar, but all of the associations that you’ve mentioned add up to a quiet name that packs a lot of punch! I love Thatcher, and Thacher is a neat spelling variant, Nick and Erin! Bravo on your unique but chic name choice! So, yea, Becky Thatcher is my “big” Thatcher association, although Margaret’s there, too – oh, well. It also reminds me of The Thatched Tavern, this restaurant-pub that my family used to frequent when I lived in England as a child, so that’s nice. I’ve recently become enamored with the idea of using surnames for classic children’s literature for the middle names of my future sons; clearly, Thatcher fits the bill! I’m playing with Toby Thatcher at the moment, which seems the perfect mix of classic sophistication and quirky playfulness. Others I love are McGregor (Peter Rabbit, Benjamin Bunny) and Lennox (The Secret Garden). I am the “Nick” of “Nick and Erin”, so obviously I am a fan of the name! We chose it because we liked the occupational meaning, not so much roofer, as someone whose work brings people together (… under the shelter of a dry roof), and it helps that a thatcher interweaves the straw or other material and layers it to create the roof. The spelling is not actually that uncommon (think The Thacher School), we liked the look, associations (and non associations) more for the variant spelling. Thanks to Verity for including it! We are big fans of the site. I like Thatcher just fine. I think of Becky Thatcher before Margaret Thatcher. 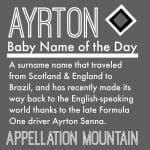 I’m generally not a huge fan of occupational/surname names for kids unless they’re being used in honor of a namesake (I’m one who would consider naming a kid Chaucer if I could get away with it), but I think it’s a good, uncommon choice for someone else. Thatcher’s nice. I’m not crazy for it, but I can completely appreciate his appeal. I admire Margaret Thatcher overall; in retrospect, she strikes me as a libertarian. As socially liberal as I am, I’m a huge supporter of privatization and smaller government. Her economic policies were pretty revolutionary. Anyhoo, I would never spell it without the “T,” but I always advise against spelling variations in general. I’m one who thinks of Margaret first, so it’s a no go, for me. But I don’t mind it. Thatcher’s got a bit more style than some other occupation names I can think of (Tyler, YOU). 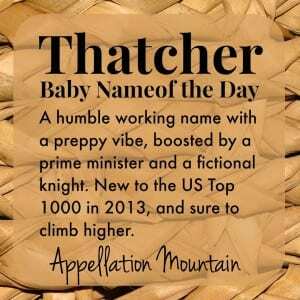 While not generally a fan of surnames as firsts, I do like Thatcher. I also like several other “olde tyme” profession names that are also surnames (I think that’s the distinction for me – with the profession names, it’s clear that it was a profession that became a surname, whereas with other surnames, like recently discussed St. John and Sinclair, that is lost and it just sounds surnamey to me). I will admit that Margaret Thatcher is a strong association with the name, but probably quite a bit less so than if we were still living on the other side of the Atlantic. It also evokes pictures of stone buildings with thatch tops nestled in rolling green hills .Overall, I think it’s got I nice sound and makes for a fine name. I’m not the world’s biggest fan of surnames-as-first-names, so no one will be surprised when I say, “this isn’t for me”. The odd spelling Thacher is strange, too. It definitely bothers me (but that’s because I’m a grammar- and spelling-phile – and yes, I’m aware those aren’t real words.) It makes me want to say THAY-cher instead of THAT-cher. I do definitely think of GB’s former PM, and I was thinking of Heath Ledger, too – but wasn’t sure why until you explained it, Verity. Before I ever used this name, there would have to be a strong connection, either familial or personal. […] Thayer – The name that started it all, a less-common version of Taylor.